You know that testing for mechanical properties or X-Ray won’t avoid scrapping your aluminum casting. We can pray but it’s too little too late : we need to work with the liquid metal, not the solid casting. And ASTM standards won’t help us much on reaching your energy efficiency and low scrap rate objectives. Best practices and data will. This article offers a sneak peak of the recent MODERN CASTING survey on melt control practices ( figure 1 ). Then a word on thermal analysis for liquid aluminum quality control and simply, why spectrographic analysis is not enough to make good money out of your melt. In the end, you’re getting your foundry more and more into John Campbell’s bi-film code , right? Is figure 1 or MODERN CASTING useful to you ? The argument on best practices for aluminum castings is not over. But it should be over now in 2017 with 20% elongation aluminum castings some researchers and some foundries produce consistently. ASTM standards won’t help you much to avoid scrap but hey, your customer requires standard tests and this is all right. 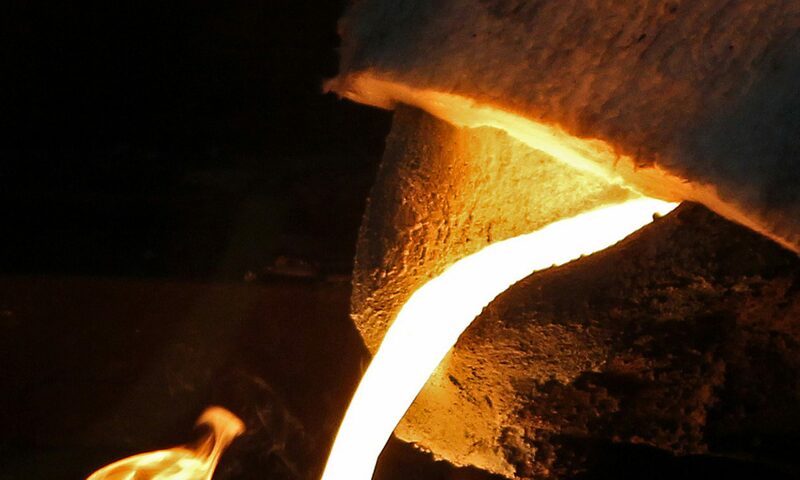 And you’ve heard the same we’ve heard from some aluminum , brass, steel and iron foundries : ” I don’t want to add thermal analysis quality control to my process, I already have enough. I have mechanical properties, X-Ray, spectrometry, other NDT, etc, and melt deck operators follow strict procedures ”. Still, without thermal analysis, how can a foundry measure and control solidification properties of the alloy before filling the molds ? Your spectro is only for chemistry, not solidification properties, or you rely on a guess. •In primary alloys, Sr analysis is usually adequate to ensure modification. •In Cu-containing alloys over modification (Sr + Ca) can cause undesirable ‘blocky’ Al2Cu phase to form. Thermal analysis can prevent this. •LPP is probably a better grain size parameter, and should be incorporated in a commercial test. In 2016, SF was selected by CQRDA.ca for R&D funding of a thermal analysis technology to measure porosity formation in aluminum. So far we’re able to predict hydrogen accurately via changes in thermal signature ( enthalpy ); in 2017 we’ll keep you posted on SF/MeltLab thermal analysis that will give aluminum foundries a measure not only of hydrogen but of porosity. We already do grain refinement and modification, just ask for a quote. Maybe you want a certain level of hydrogen porosities in your castings to compensate for shrinkage ? Maybe you don’t want any porosity because you need a perfect casting ? We can help. The main idea is to avoid creation of oxide bi-film ( figure 2 ). The ideal consists in having clean scrap or ingot, not create bi-film defect in the furnace while melting, or have a way to clean the melt and finally, fill our molds without entraining these oxide defects into the casting as it solidifies. If you don’t have bi-film defect in your melt, hydrogen won’t be able to nucleate a porosity or enflate the bi-film to create the harmful porosity in your casting. Filling practices and mold filling system designs are paramount, but first we need a clean melt. Figure 2 : Sketch showing the formation of a double oxide film defect [ 1 ]. One of the findings is that since hydrogen enflates oxide bi-films to create a type of porosity ( figure 3 ), we can measure the thermal signature of this event with MeltLab technology. So thermal analysis can provide us with even more data than listed above by Geoffrey Sigworth. Figure 3 : The change in volume of an air bubble with time in liquid commercial purity Al, with an initial bubble volume of about mm3, and low and high initial hydrogen contents [ 1 ] . So let’s start with an aluminum melt quality in the furnace measured by thermal analysis. Another day, we’ll address the challenges of transferring the melt from the furnace into the mold so we keep our desired melt quality and don’t mess everything up while pouring. Next article will be on green sand and chemical sand molding and why SF and Versatile sand testing equipment ( www.sandtesting.com ) signed an agreement to better serve USA and Canada. Next PostNext What is ablation casting ?